The Sassy Zebra tutu makes for a gorgeous birthday tutu for your little diva. This tutu features hot pink, white and black tulle. 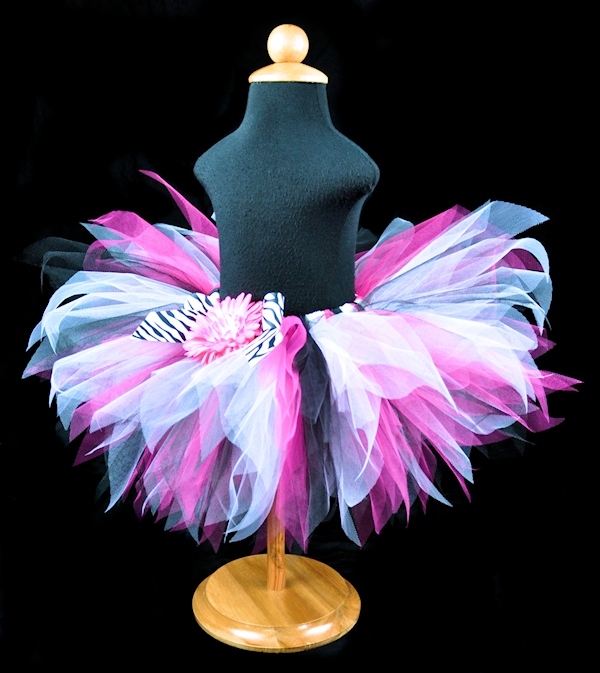 The Sassy Zebra tutu makes a gorgeous birthday tutu for your little diva. This pixie cut tutu is made with white, fuchsia and black tulle and includes a black and white zebra print bow clip. Optional flower clip and stretch headband available.